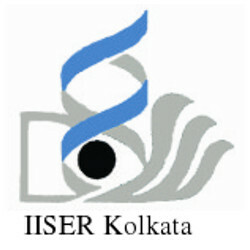 Indian Institute Of Science Education And Research Kolkata (IISER). A walk-in interview will be held for the position of Project Assistant (one position) to work in a project ‘Monitoring tiger habitat productivity in Sundarbans Biosphere Reserve (SBR) using biological indicators for informed decision making by the protected area managers’ funded by WWF-India. The project intends to quantify productivity of tiger habitats in SBR using biological and geochemical indicators and to identify hotspots for long-term ecological sustenance. The project position will be initially for a period of one year but could be extended subject to satisfactory performance. Pay scale- Rs 15000 per month (consolidated) as per the rules. Essential qualifications- Highly motivated candidates with M.Sc. in Life Sciences/Botany/Zoology/Environmental Sciences with minimum 55% marks can apply for the position of Project Assistant. Exposure to field work in different landscapes as well as knowledge in taxonomy (e.g. benthic faunal taxonomy, algal biology) highly desired. How to Apply-Candidates who wish to appear can bring their original mark sheet along with hard copy of one curriculum vitae and report in Room 218, Research Complex of IISER Kolkata, Mohanpur Campus. No TA/DA shall be paid for attending the interview. walk-in interview Date & Time - 22nd April, 2019 from 10 am.